I stumble upon your website when I do my search on the internet. I loved reading your blog. They give me inspiration on what I can do to help my ADHD son (4 years old). We’ve been on Feingold diet since Feb this year and saw no improvement. We removed dairy from his diet last year and saw a big changes on his behaviour. He is much calmer without dairy. We also trying neurofeedback right now. So far we’re on the first treatment only. How many sessions did you start notice any different in your son? 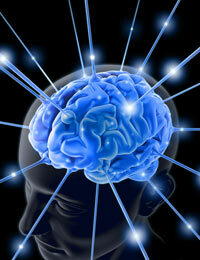 Our neurofeedback treatment is done once a week for 1 hr each session. We started out with 3 treatments a week for the first two weeks and then went to two treatments a week. They were 30-40 min sessions. We noticed a profound difference in his ODD around 10 treatments. He was calmer, less volatile in his temper and just agreeable. Then around 15 or 20 treatments we noticed the difference in focus/attention/completing classwork, etc. NFB along with biomedical treatments has changed my son. Homework isn’t so difficult anymore. He is motivated and a self-starter now. Keep up the good work on helping your son without medications! Thank you for your prompt reply. Your son’s improvement sounds really motivating. Neurofeedback is really expensive but as long as there’s a sign of hope…I will try anything to avoid medication. I am currently trying out Biomedical approach although haven’t seen much improvement with this either. I am scheduling an appointment with naturopathic soon. I am hoping the doctor can help me to identify vitamin deficiencies as well as food alergies. I didn’t see your blog on naturopathic. I am just wondering if you have any input on this. I am currently trying out chiropractic as well. If you have any suggestions on what else to try, please do let me know. I want to try out everything before he start kindergarten next year. Are you using a DAN doctor and have you run any labs on him? Biomedical is sometimes a process of elimination as much as doing empirical trials of some supps with your child. A DAN doctor can run labs to determine vitamin deficiencies and food allergies. I have not used a naturopathic and don’t have any input on that area. I have read of families that swear by and have had great success. If you look into a chiropractor, try to find one that does Cranial Sacral therapy. You can find out more about it on the web, just Google it. Also, if removing dairy from your son’s diet was effective, you should try wheat/gluten too. He sounds like a responder to the peptides that those foods produce and can cause behaviors, brain fog, etc. He may have gut issues too, have you tried treating yeast or bacteria? Also, have you read my blog on 5 Ways to Help Kids with ADHD? No I am not using a DAN doctor right now. I tried biomedical approach on my own…I know I am getting ahead of myself here…but I was desperate and just want to try out everything for my son. Anyway, I just found a naturopathic doctor who is also a DAN certified doctor. Hopefully I can schedule an appointment with her soon and able to find someone to help me with biomedical approach. I removed Gluten and casein from his diet last year and I saw the difference in his behaviour but our psychologist insisted that we removed him from the diet because it’s too restrictive. She also convinced me that my son doesn’t fit the criteria of someone with gluten intolerance (diarhea etc). Also for some reason…my husband also think that the improvement might be because our son has mature more. So after our hardwork for two months, we were back to adding gluten on our diet. We didn’t notice the difference right away, but over the time…his behaviour change and never the same as when he was on gluten free casein free diet. It was different with milk…as soon as I tried adding milk back to our diet…his behaviour change drastically. That’s why we’re sticking to casein free diet. Anyway, right now I am trying to do the gluten free diet again. Have you heard of caveman diet? I am just wondering if I should do caveman diet first or gluten free diet first. As for the gut issues, I gave him BIO K + probiotic (dairy free-gluten free) everyday since last year. It contains 50 billions bacteria, so I thought that should be enough. Let me read your other blog right now. Thank you for your guidance. I am not familiar with the caveman diet. If you have already removed casein, I’d go back to removing gluten next. You really need to give the gf/cf diet 6 months to a year minimum. That will help heal his gut along with other biomedical interventions.